Mawlana Sheikh Nazim al-Haqqani declared publicly before passing away that the person to succeed him, i.e. his khalifa, would be his eldest son Sheikh Muhammad Mehmet Adil. Sheikh Mehmet took over the trust as the 41st Sheikh of the Golden Chain of the Naqshbandia Tariqat with the passing of Grand Sheikh Nazim to the Abode of Eternity on 7th May 2014/8 Rajab 1435. 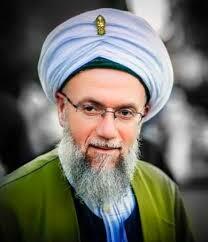 Sheikh Muhammad Mehmet Adil resides in the village of Akbaba in the Beykoz district of Istanbul, Turkey. Whenever he is there he treats his guests who arrive from all over the world and gives them one by one advice and sohba. 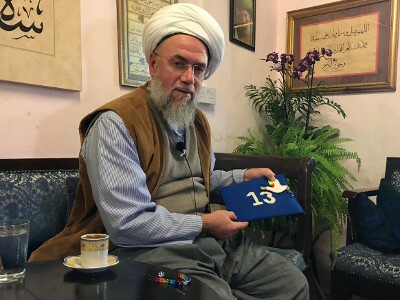 In December 2017 Pam Evans travelled to Lefke in Turkish Cyprus to meet with Sheikh Mehmet. He blessed the Peace Mala symbolic dove of peace for interfaith and cultural friendship. The meeting was filmed for the Saltanat TV video channel. During the meeting he answered Pam’s questions and confirmed that he would be following his father in supporting interfaith dialogue for better understanding and world peace.